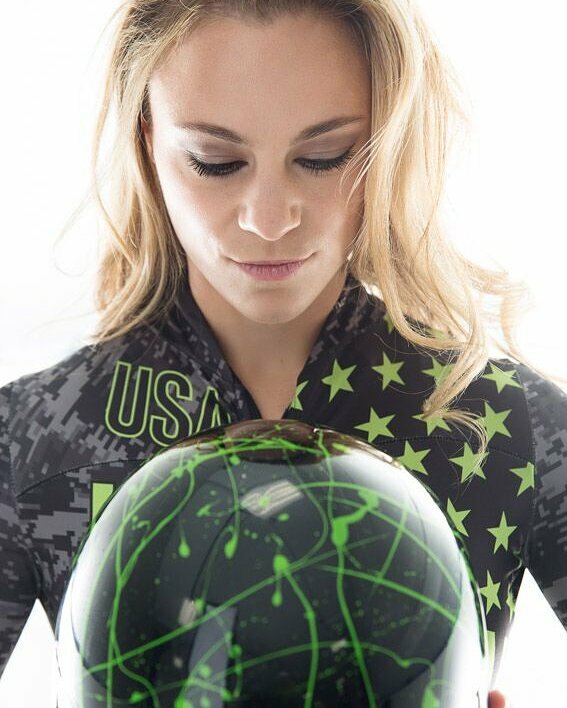 We recently had the chance to speak with Megan Henry, a Connecticut native and current Team USA skeleton athlete about growing up in Connecticut as well as her current endeavors. Local Connecticut: What was it like for you to grow up in Connecticut? Megan Henry: I loved growing up in Connecticut because I lived in the small town of Roxbury. I was able to go and play outside and when I was younger, it was relatively safe. It still is for the most part! But my brother and I were able to really be kids and learn and explore on our own. To get lost in the woods with our friends and find our way home. Our parents reinforced safety and being aware of our surroundings and strangers, and I never had a hard time adapting from a tiny rural town of 2,000 people to going to college in a big city or traveling around the world alone. Connecticut is great because it is close to NYC and Boston, but there are so many beautiful things to do outside, and not to mention great food! LC: Share with our readers some of the struggles you've encountered both as a Team USA skeleton athlete as well as in your life in general? MH: I have always been somewhat of a shy person, but fairly confident in my abilities to work hard and get things done and go after my goals in a more quiet and humble way. But I never had the inability to speak up for myself. I knew I wanted to play field hockey in college, and I was able to earn a scholarship to American University. I also always wanted to be in the Army even as a young girl, and I joined after college. There, I was put into numerous leadership positions where I definitely could not be as quiet as I normally am. After joining the Army, I was recruited to do bobsled but was too small, so I was told about my current sport, skeleton! After winning the National Championships in 2012, later that fall I suffered from pulmonary embolisms, or blood clots in the lungs caused by the birth control NuvaRing. That was the most difficult experience I had ever faced. I was gearing up for the season the year before the Olympic year, and I found myself bedridden in a hospital told I may never be an athlete ever again. I was sidelined for a year, struggled mentally and physically. When I got out of the hospital, I was told I could walk for 10 minutes a day. Prior to that, I was training 6 days a week. It truly flipped my world upside down, but I decided that I wouldn't keep quiet about what happened to me and about my struggles to return to being an athlete. Going through that experience really has allowed me to share a greater message for other people about trusting themselves and helping others, and just how important our mental state is and what we say to ourselves. LC: You're currently in the running to appear on the cover of Jetset Magazine. What has the experience been like and how can people vote for you? MH: Although it is not a physical competition, it still gets my competitive side going! It has been really challenging since the competition is solely based on popular vote. I am not a traditional model with a huge following, so asking my friends and reminding them every day has been hard and time consuming particularly when I have had to focus on World Championships and National Championships! However, the contest has been fun and supports the Be Positive Foundation for childhood cancer. It is a great cause, and I am hoping to be the first Soldier (and athlete!) to make it on the cover. People can vote every 24 hours using their Facebook login at tinyurl.com/MegHplease or they can make additional contributions to Be Positive to vote more! LC: What's something that people might not guess about you? MH: I mentioned it earlier, but I think they may not guess that I am shy and somewhat introverted based on the fact that I speak in a lot of places and am generally fun, bubbly and smiley and seem outgoing. But, I am usually quiet when I get somewhere new, and I observe people for a bit before I come out of my shell. LC: Describe yourself in three words. MH: Resilient! Empathetic, and well-rounded. LC: If you could give any advice to our younger readers, especially young girls, what would it be? MH: This is a great question! My advice is to strengthen your inner voice and belief in yourself. Do not let people tell you that you cannot do something, no matter how illogical they may think it is. Our mind is our greatest asset and ally, and who/what you listen to and surround yourself with has a huge impact on that. People live without ever scratching the surface of what they are capable of....so be one of the very few who are not hindered by what other people think of them. Love yourself! Believe in yourself! And do what makes you happy.